The Rat Pack Live! El Oceano. Just outside La Cala de Mijas. Rat Pack, Boxing Night Dining Entertainment at El Oceano Restaurant between Marbella and La Cala de Mijas! Unbeatable Boxing Night entertainment at the Costa del Sol’s finest hotel and restaurant! Boxing Day at El Oceano is something to remember for ever!! Is your table booked? The Rat Pack LIVE! Boxing Night at El Oceano! A tribute to the legendary music of Frank Sinatra, Dean Martin and Sammy Davies Jnr. Christmas just wouldn’t be Christmas with a proper sing-a-long!! The Rat Pack LIVE is a fantastic act, from three of the Costa del Sol’s most prolific entertainers! Join Frank, Dean and Sammy for the perfect Boxing Night!! 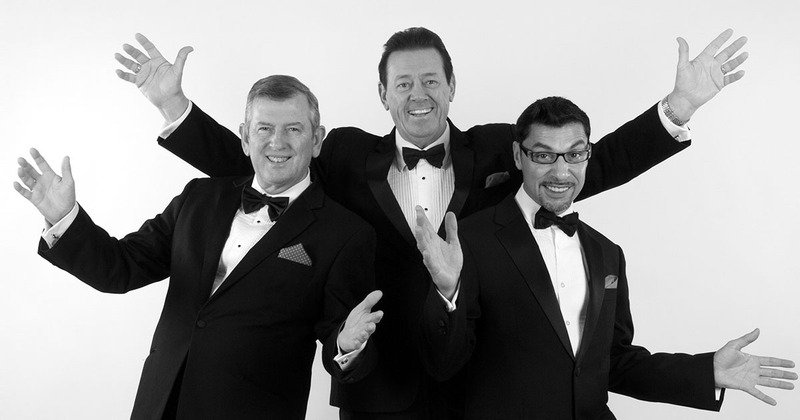 One of El Oceano’s regular, returning entertainment acts, The Rat Pack Live! is a guaranteed great night out. Enjoy a meal to remember, exquisitely ‘thrown together’ by our top-class chefs and along with the music of the crooners! Book now! Tickets 55€ per person, including fabulous El Oceano, 3-course meal. As of today, there are no confirmed future dates for 'The Rat Pack LIVE!, Boxing Night'. As soon as dates are confirmed, we'll let you know! Price displayed is per person and includes all local taxes. The Rat Pack Live are, without question, one of the best tribute acts on the Costa del Sol and one of the most classy and professional acts you will see. 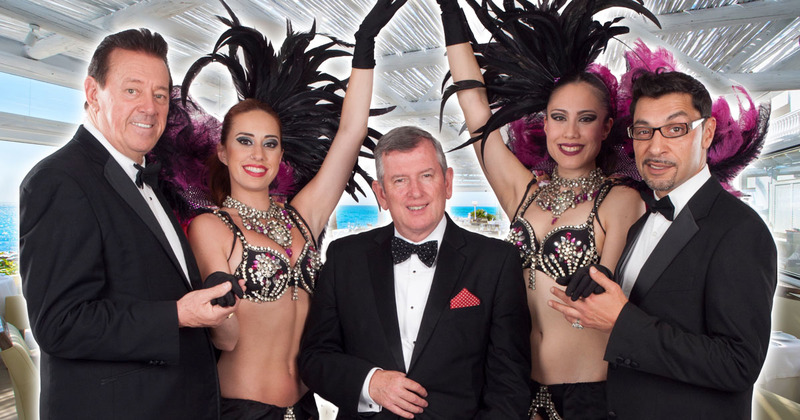 If you are looking for proper, top-quality dining entertainment, The Rat Pack will not disappoint. They are perfect accompaniment for your fabulous El Oceano dining experience! Thomas John Henry resurrects the legendary Sammy Davis Jnr’s incredible multi talented personality!! Together they will take you back to The Rat Pack golden years! This show might just be the closest to the real thing you are ever likely to see! Thomas John Henry as Sammy Davis Jr.